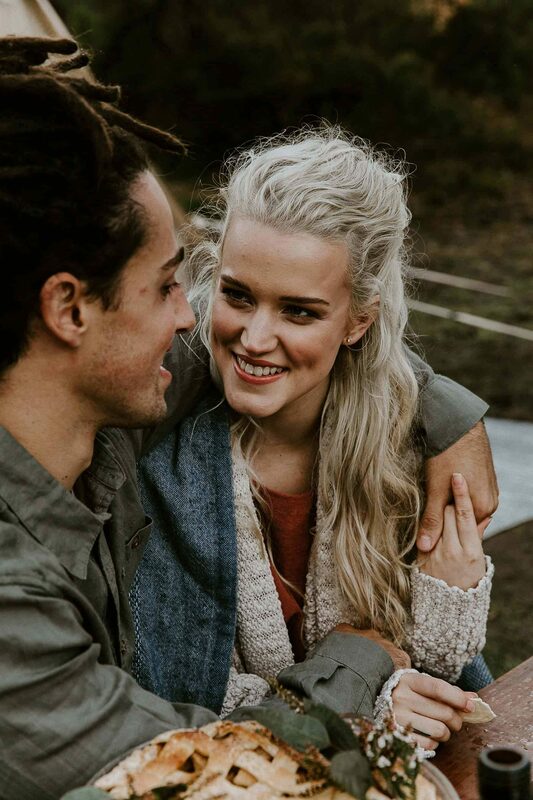 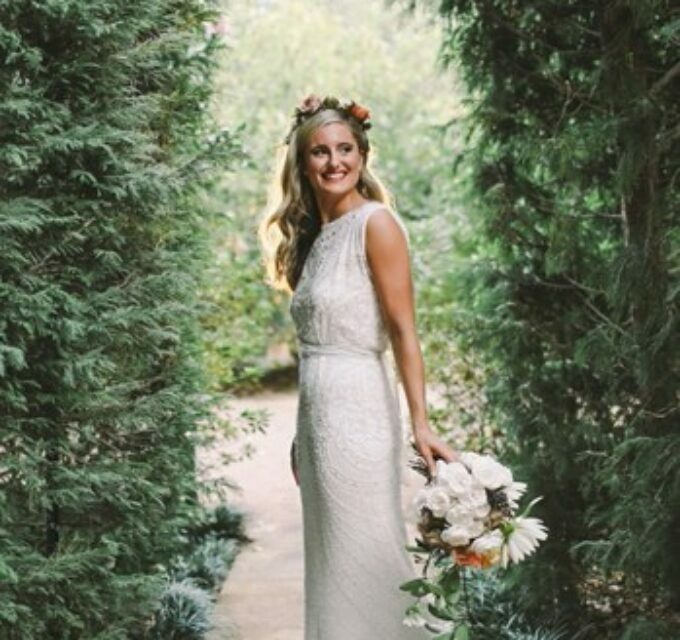 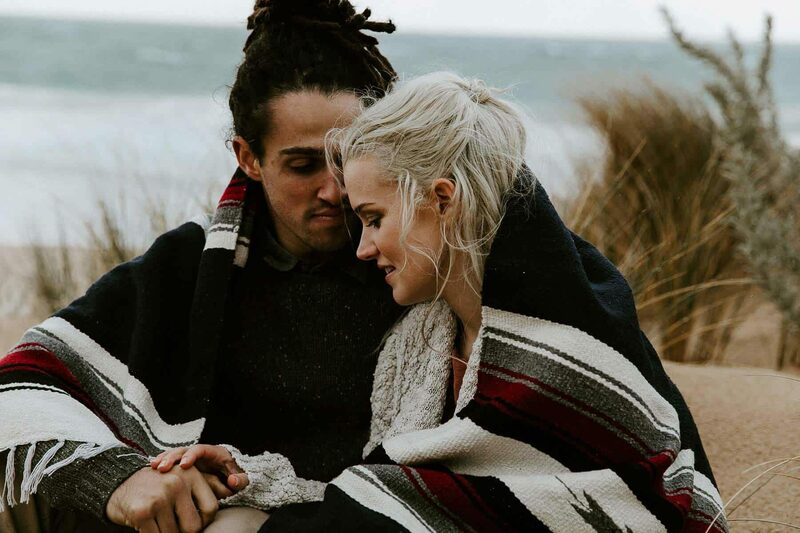 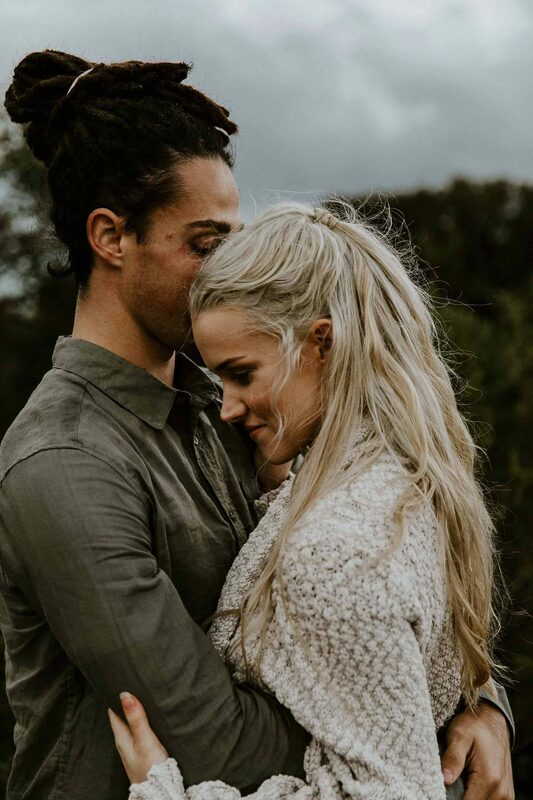 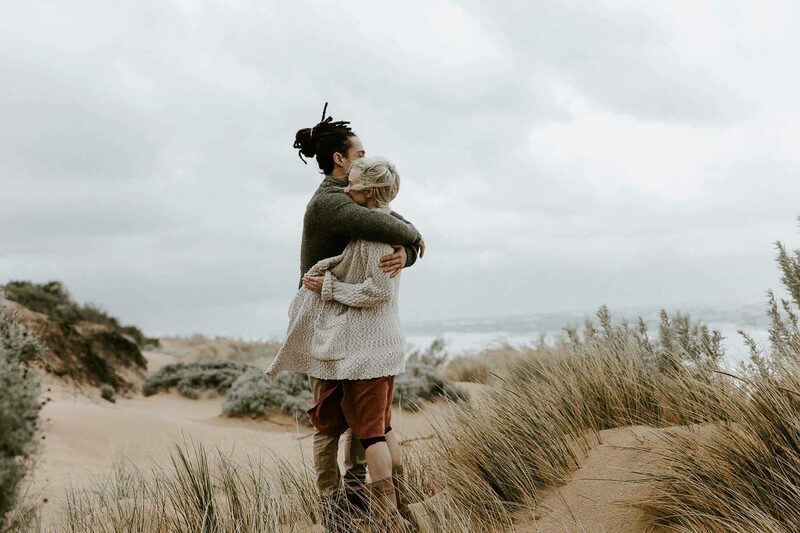 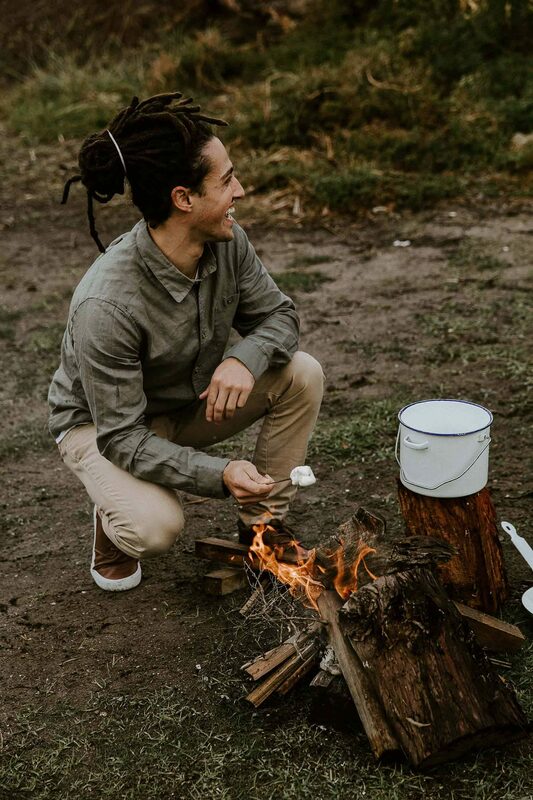 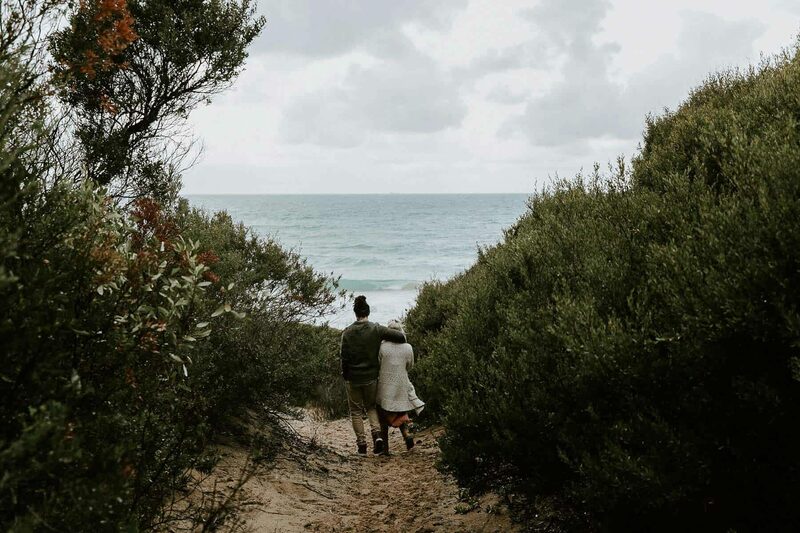 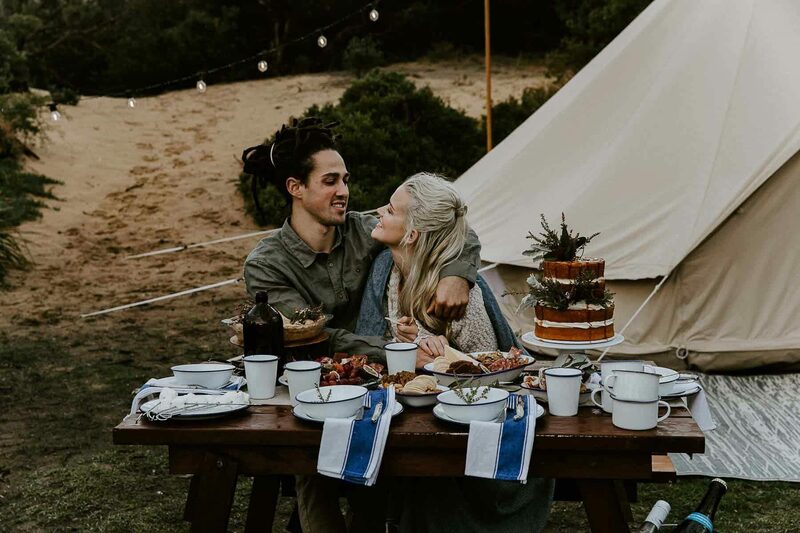 Capturing the essence of a weekend adventure, this ultra chill elopement shoot conjures the smell of wood fire smoke and crisp coastal air. 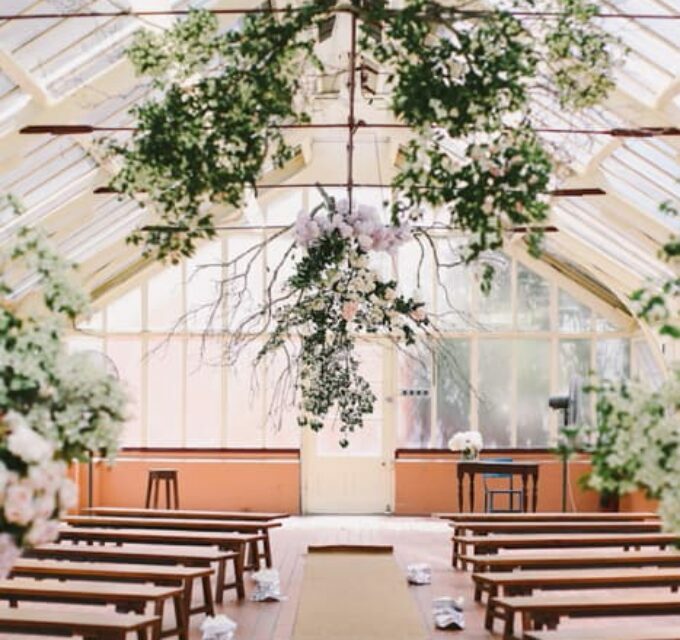 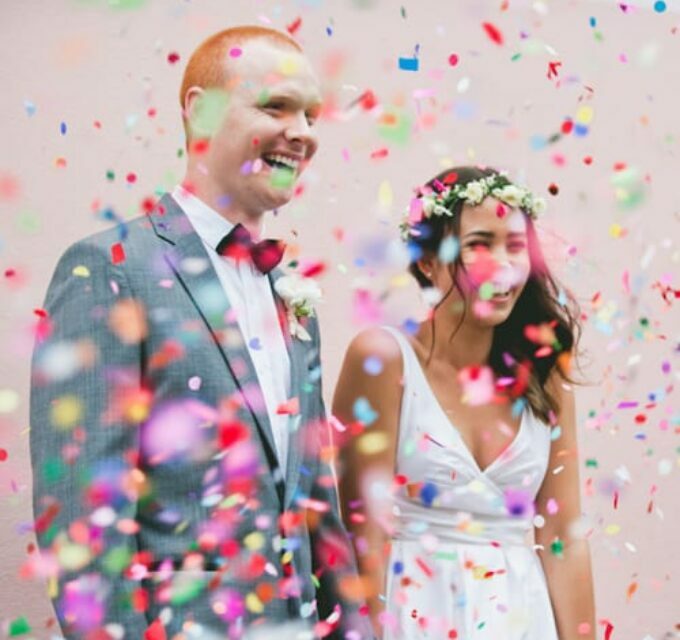 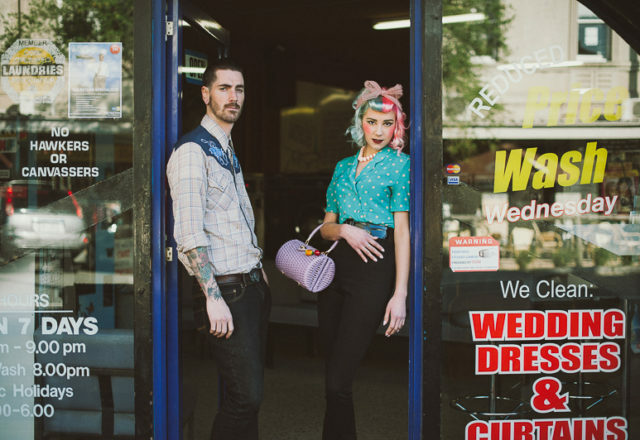 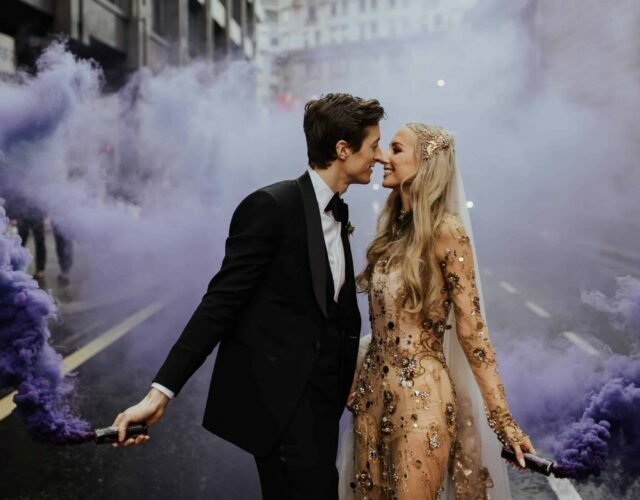 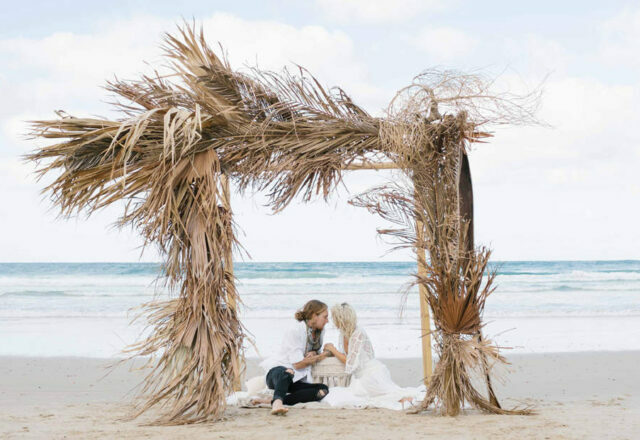 Photographer Hannah Gilbert teamed up with Morgane Cazaubon of Under the Moon Elopements to bring us this wild and wonderful wedding inspiration. 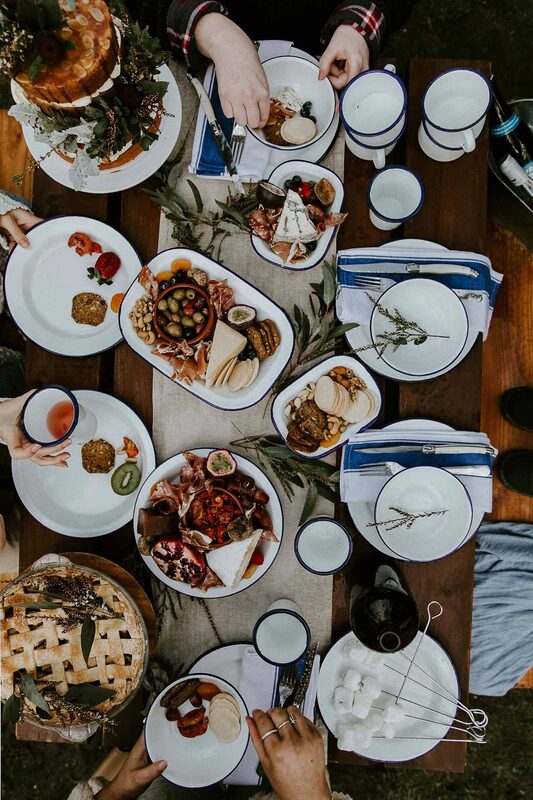 Working with a pared-back ethos, the team kept things simple with enamel tablewear and hearty fare by Hunter & Gatherer Events. 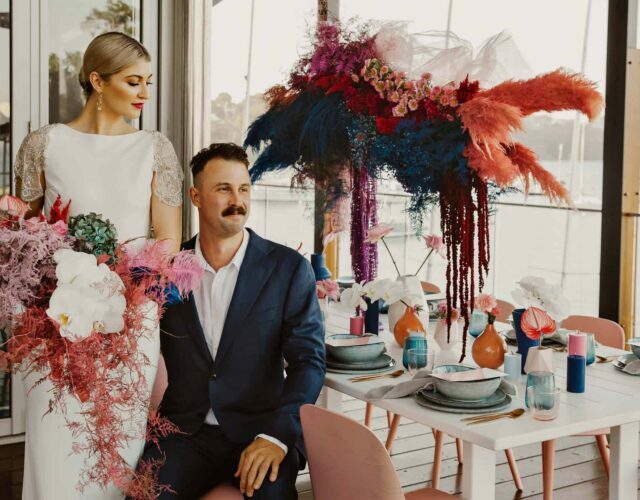 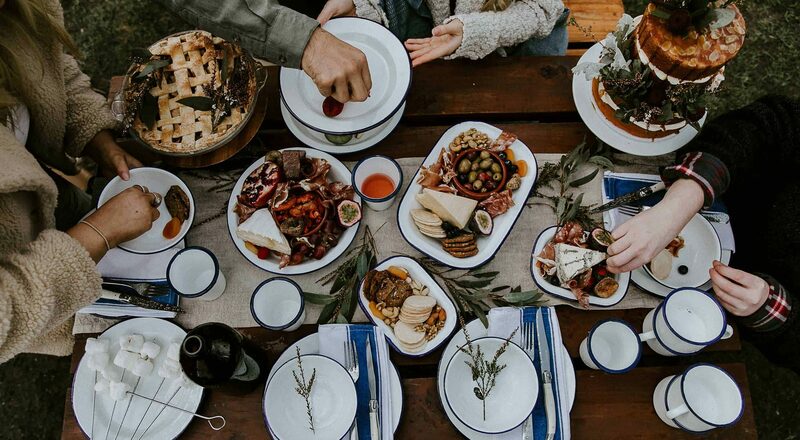 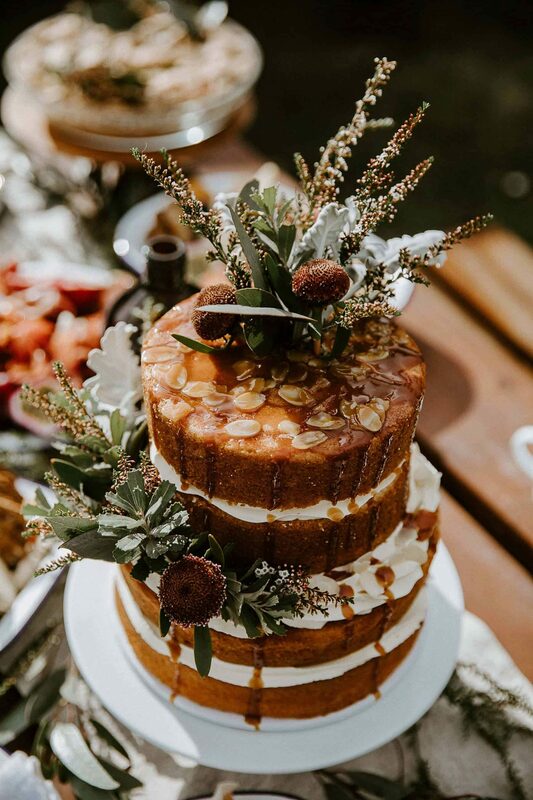 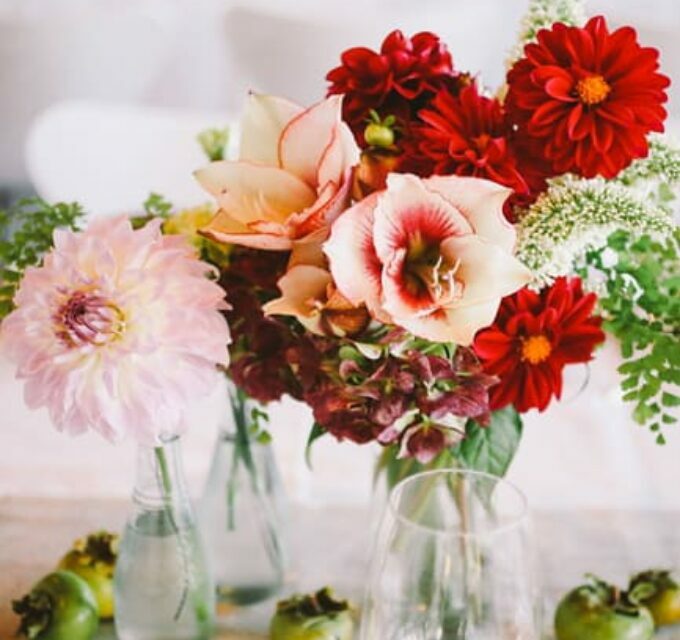 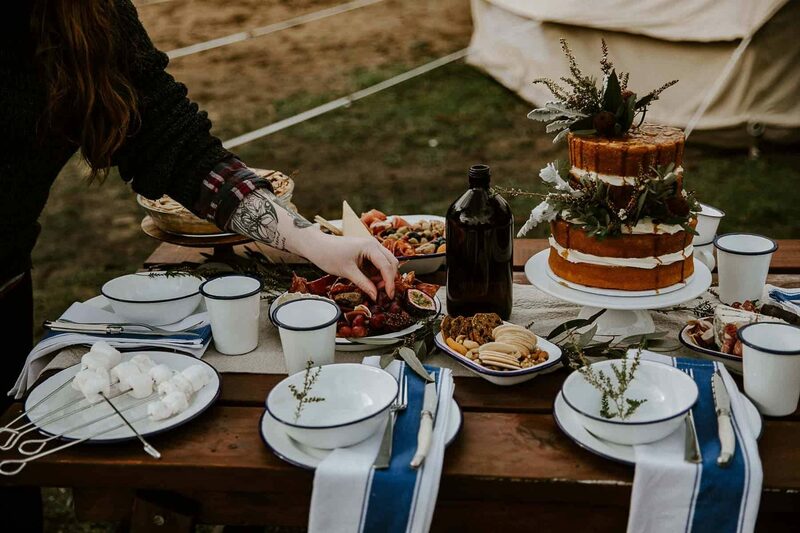 A towering cake by Buttercream Baby was the crowning glory of the table, styled by The Huntress & Co.
Hey Blossom gathered foraged blooms and greenery into a loose and natural bouquet for the beachy bride, Maddy, who donned comfy knits and soft linens to keep with the relaxed vibes. 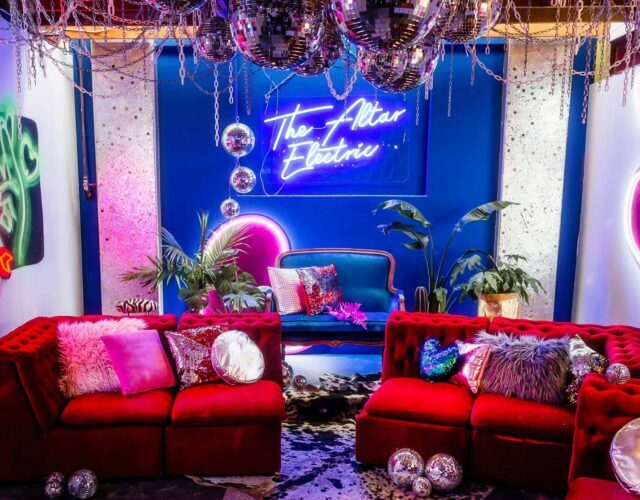 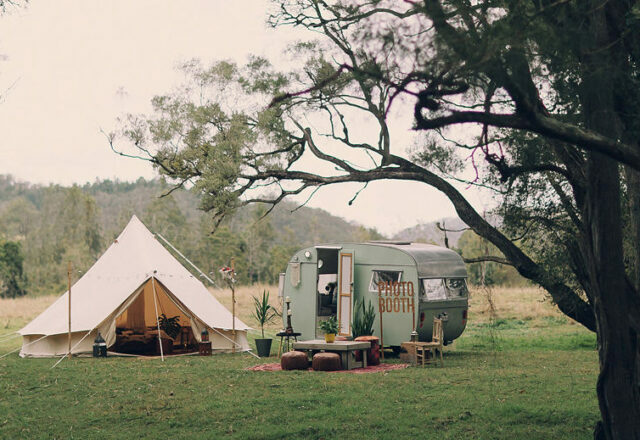 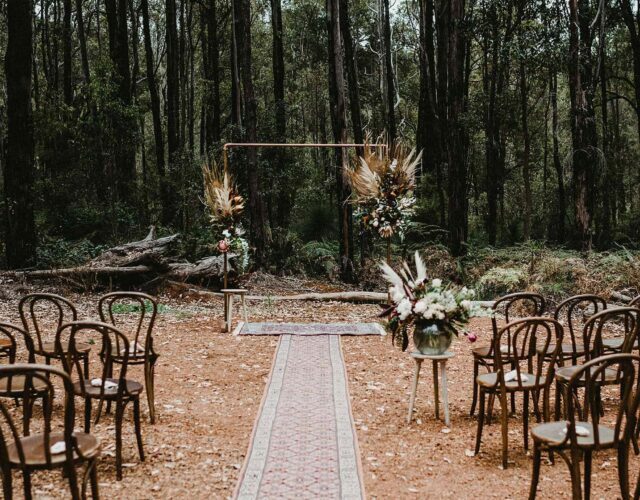 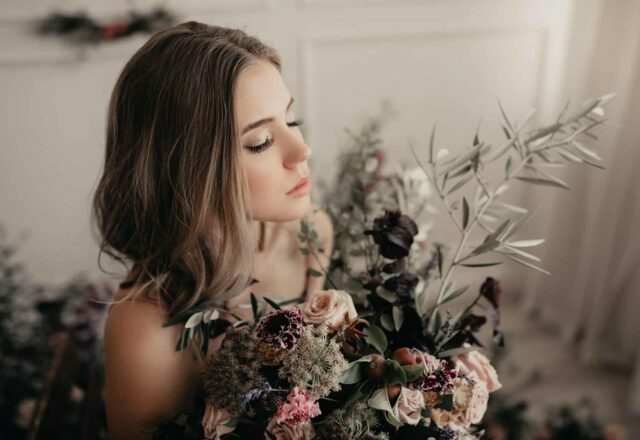 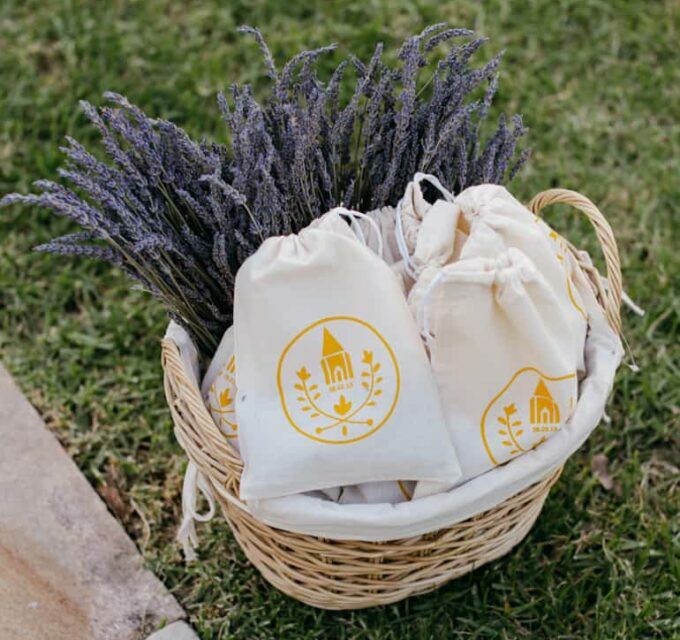 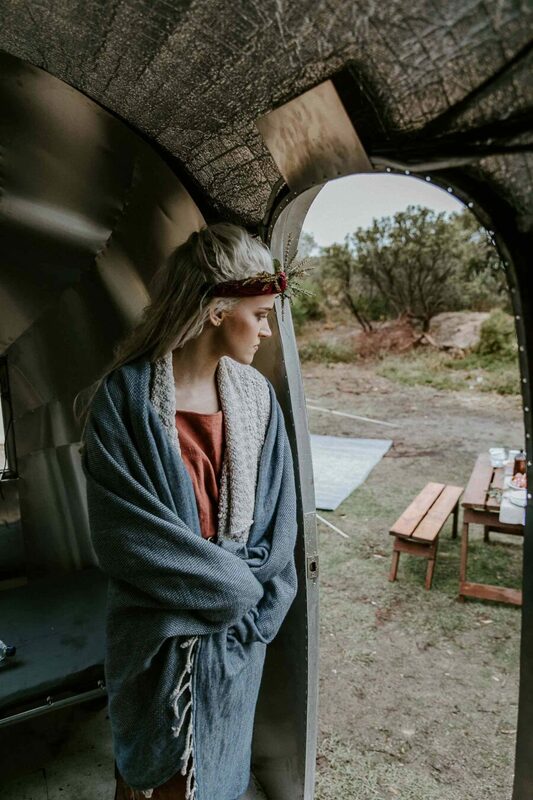 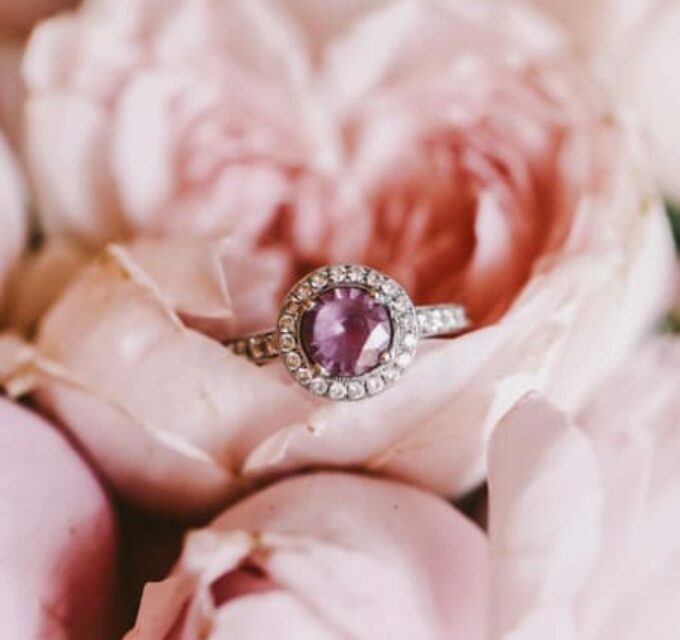 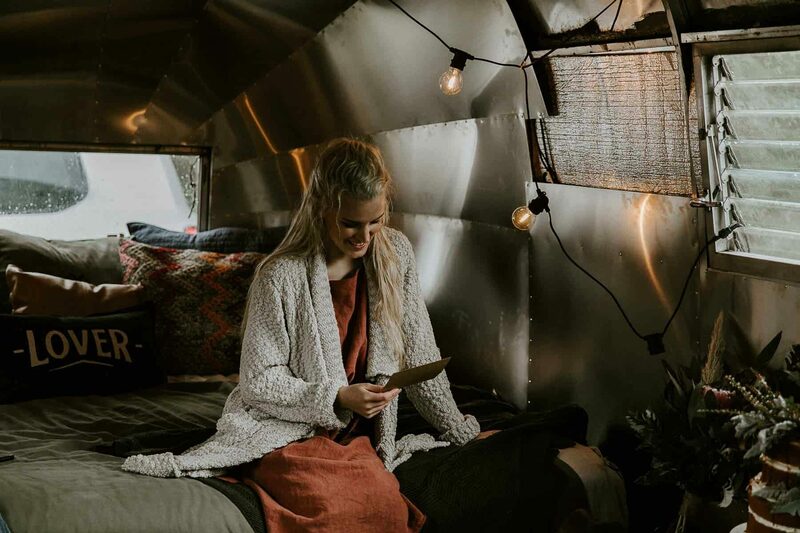 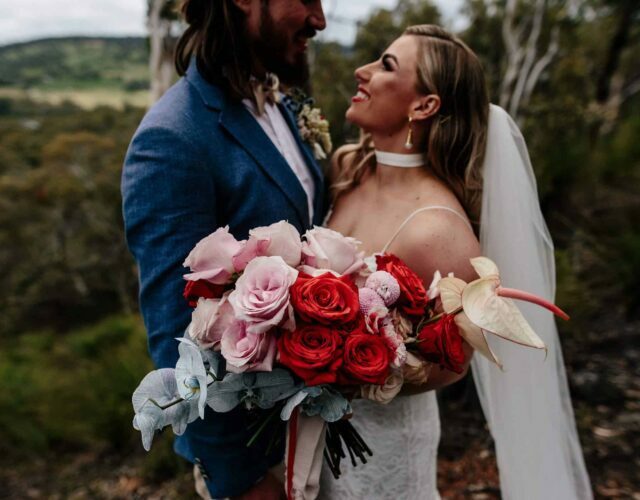 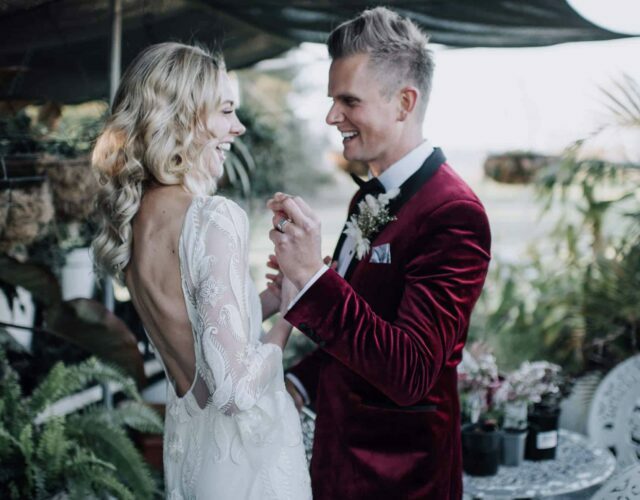 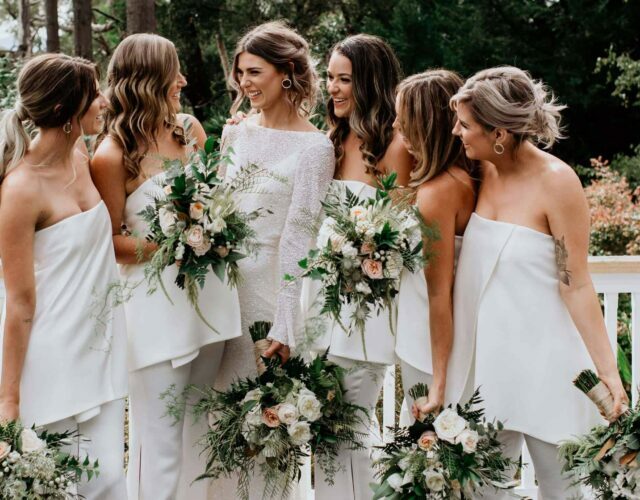 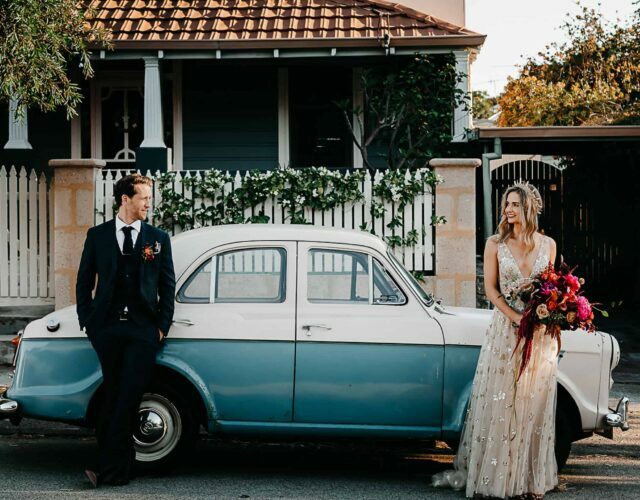 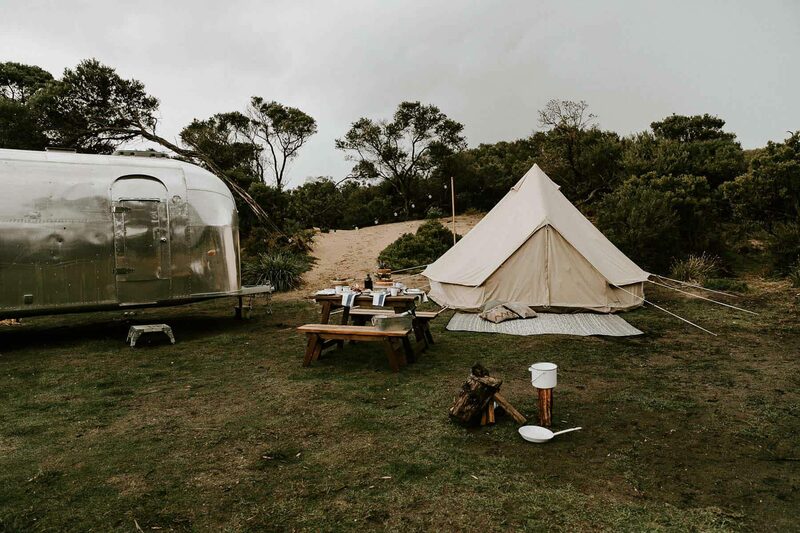 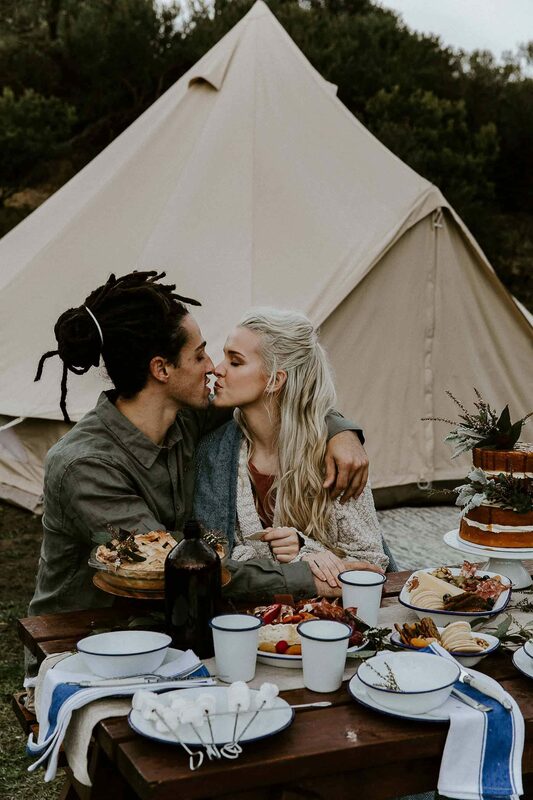 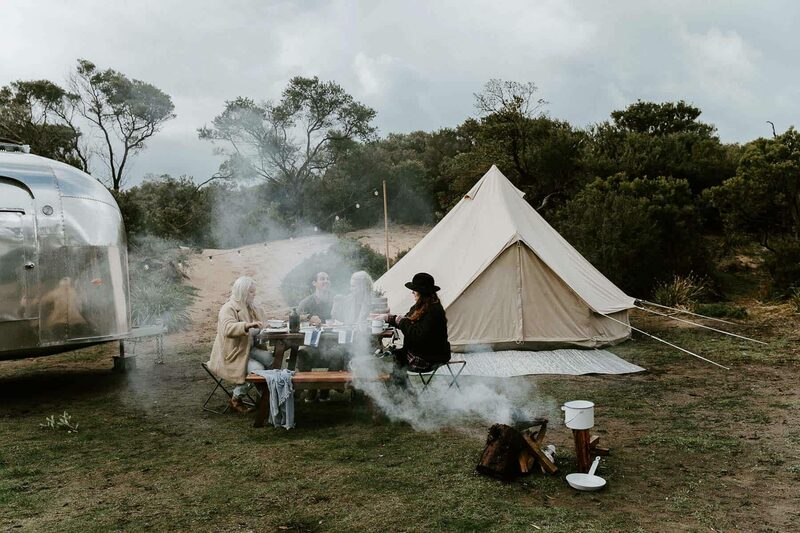 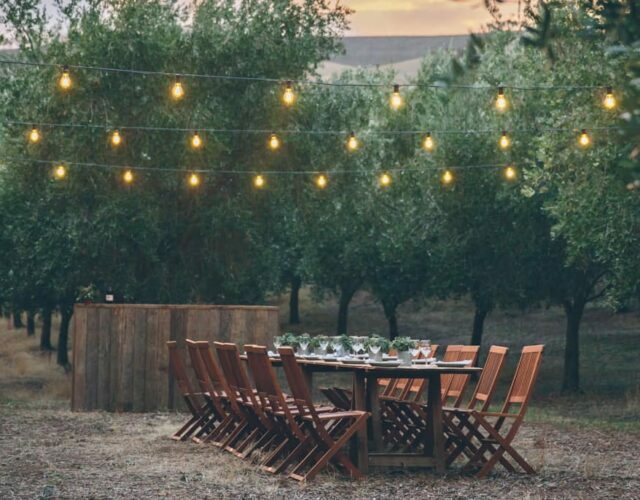 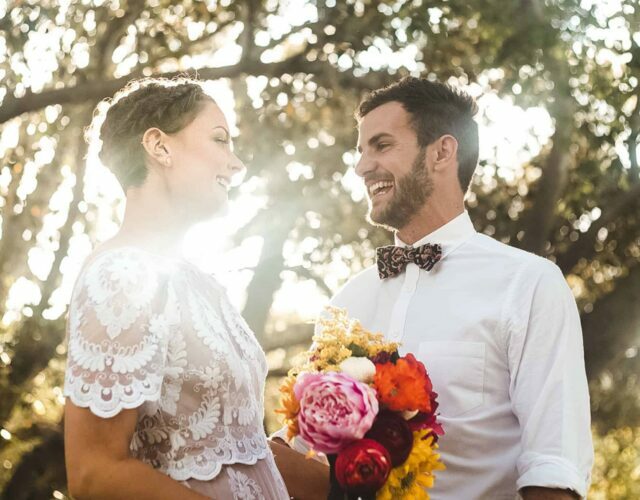 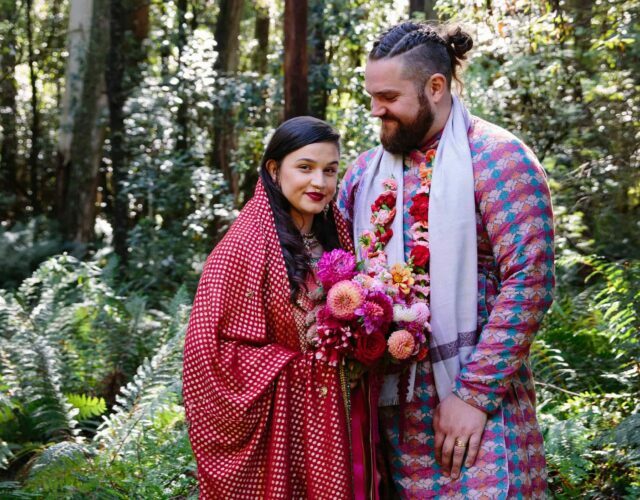 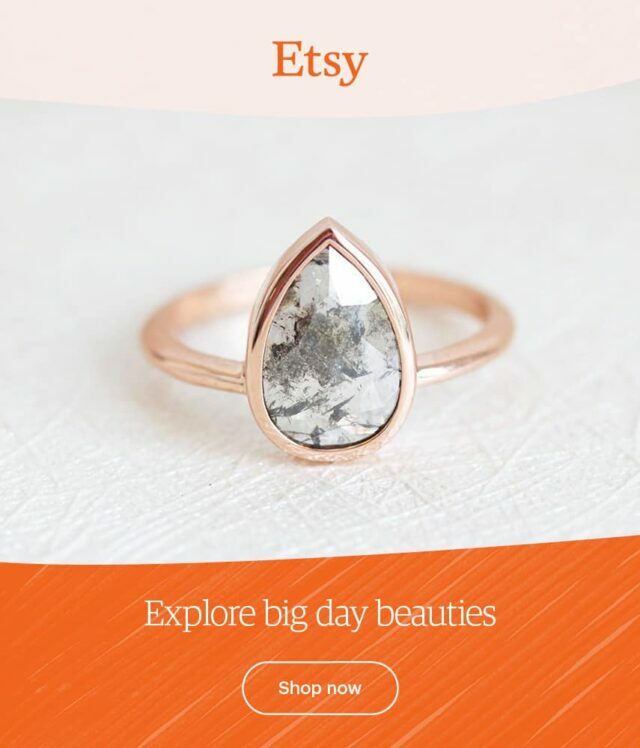 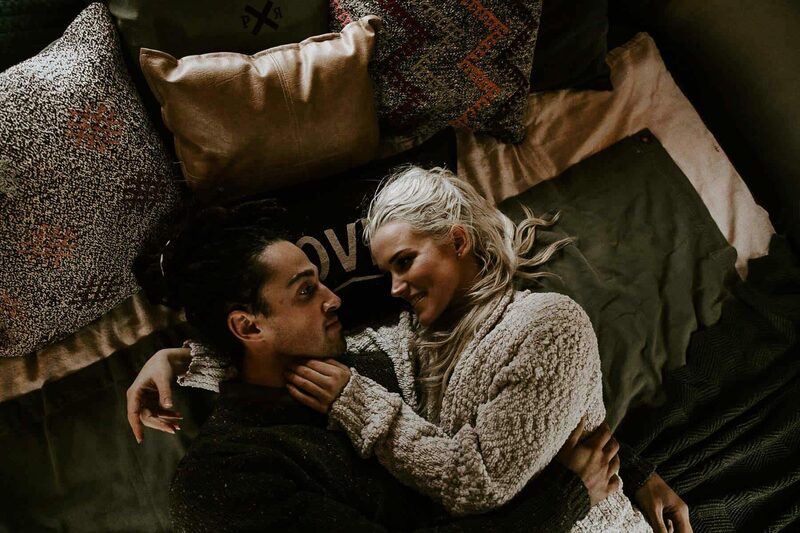 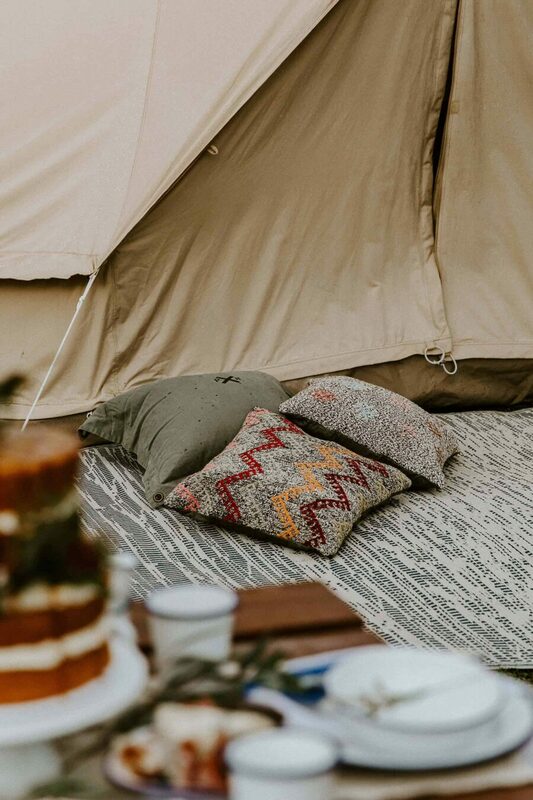 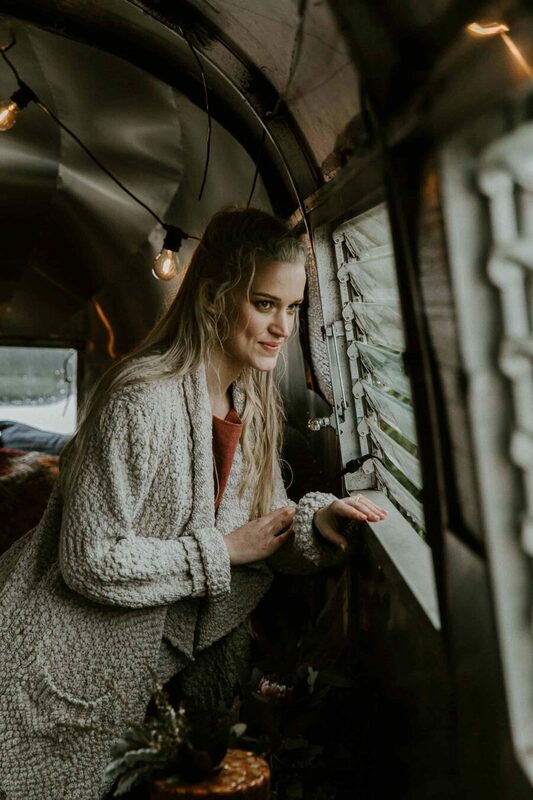 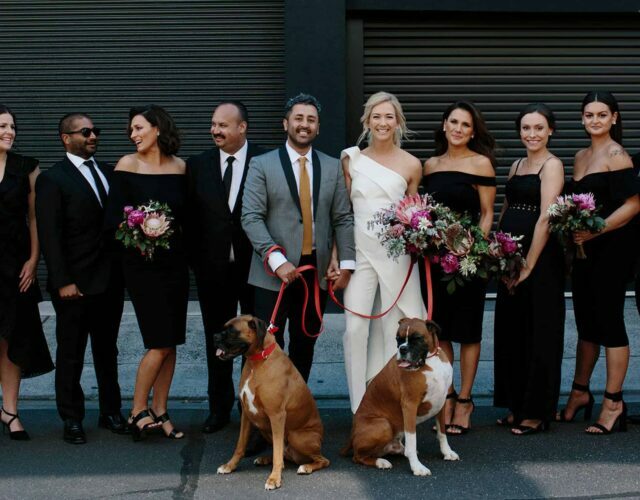 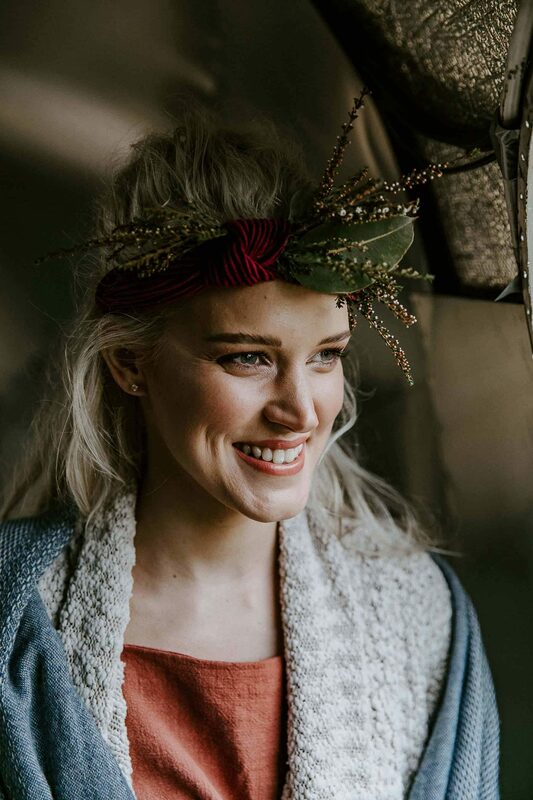 Under The Moon specialises in stylish bohemian glamping elopements, and as these cute frames show, a low key gathering of just a couple friends has a magic of its own.